For the mechanics, maintenance workers, engineers, and pilots who need to reach and inspect the engines, fuselage and undercarriage of aircraft, it means working at heights. Whenever a worker is high above ground, occupational health and safety is an issue. 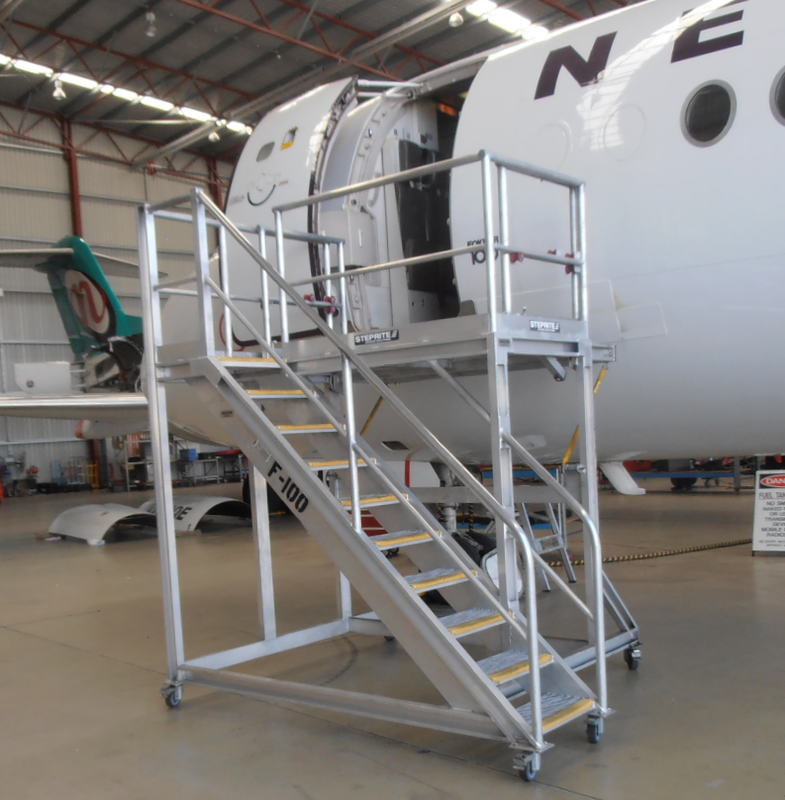 This busy aviation company needed safe, fast and reliable access when working at heights. After visiting the hangar to see the issue first hand, we identified the exact Steprite Access Platform they required. It needed to be lightweight, with safety rails and wheels for ease of movement. Our transparent and honest approach resulted in the company receiving a access platform from the standard suite off Steprite products. In this case, the specifications and intended application means there was no need for our specialised custom build service. The standard platform is the perfect product for the purpose.